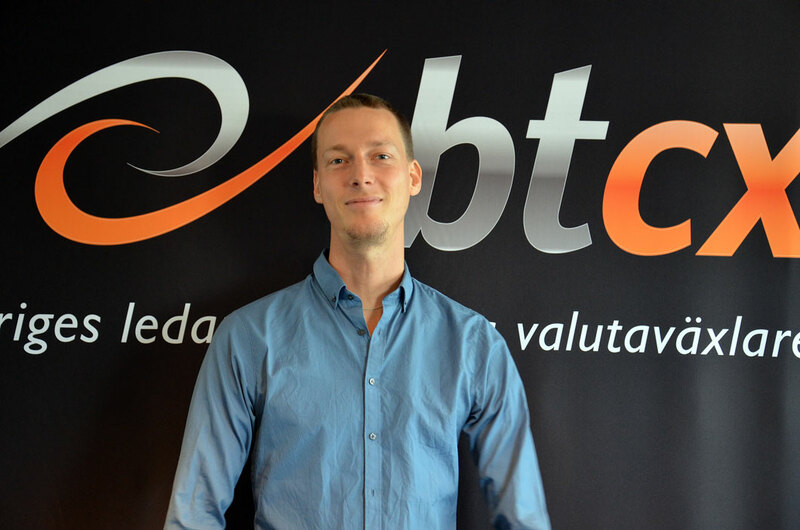 My name is Christian Ander, I am the founder and CEO of BTCX which is a leading exchange service for bitcoin and other virtual currencies. We have been operating out of Stockholm, Sweden since January 2012. That makes us the pioneers of the european bitcoin world and veterans everywhere else. Security and your privacy is always our focus. A company does not get to number one without being reliable, so that is, and will always be, very important . Good communication with our customers is of egual importance. We will respond as soon as we possibly can on e-mail and on Facebook when you want to talk to us. 33% of customers get an answer within one hour (avarage for the finance sector is 30 hours!). Just click ”Support” to get in touch. All suggestions are welcome! My colleagues and I are working on several exciting products that we are introducing during 2014. We want to be proactive in the developing the accessibility and versatility of cryptocurrencies. Our vision is that you should be able to decide for yourself how you want to pay for almost anything. Bitcoin, creditcard, ordinary cash… etc. Therefore, we have already begun to offer BTCX|Payments to Swedish stores. It is a simple system for stores and consumers to use bitcoin when shopping over the counter and also for e-commerce. We also work with charities at BTCX|Donation. När har ni nästa Bitcoins for beginners ?